0 Day Attack on EarthDec 23, 2010 (US)Earth is under attack by massive creatures from outer space. Now you can save Earth with a huge arsenal of heavy-power artillery at your disposal. Climb into your fighter jet and wage fierce battles against these gruesome aggressors. “0 Day Attack on..
Arkanoid LiveMay 6, 2009Arkanoid is on it's way to Xbox LIVE Arcade for Xbox 360 and features 120 levels, online co-op, and Versus modes. As part of “TAITO’s Collection Series”, in which Taito’s masterpiece games are remade, ARKANOID is remade with even cooler .. 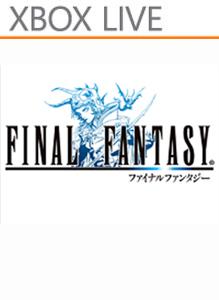 Final FantasyJun 4, 2012 (US)Initially released in Japan in 1987, the original FINAL FANTASY amazed audiences with its rich story and stunning graphics. Players guide the Warriors of Light as they set out on a quest to restore the crystals to their former luster. Its side v.. Final Fantasy XI: Seekers of AdoulinMar 26, 2013FINAL FANTASY XI: Seekers of Adoulin is the 5th installment in the decade strong online role-playing series. Battle, explore, talk and trade your way through a world of missions, quests and intrigue! .. Final Fantasy XIIIMar 9, 2010The world-renowned “Final Fantasy” will continue making its home on Xbox 360 with the upcoming release of “Final Fantasy XIII,” the eagerly anticipated title from Square Enix. “Final Fantasy XIII” uses the power and cutting-edge technology of Xbox 36.. Final Fantasy XIII-2Feb 3, 2012Developed by Square Enix, FINAL FANTASY XIII-2 is the follow-up to the 2010 hit title FINAL FANTASY XIII, and the latest installment in the world-renowned FINAL FANTASY series. Features Player-driven scenario with freedom over story progre.. Gun LocoCanceledDeveloped by Square Enix, Gun Loco is a third person shooter coming exclusively for Xbox 360. The game features a collection of crazy criminals, racing to escape from a distant prison planet. ..
GyromancerNov 18, 2009Gyromancer: A fusion of puzzle and RPG gaming. You are Rivel, a powerful mage who leads fearsome beasts into battle as he explores the depths of Aldemona Wood. Master a deep--and deeply addictive--battle system. Twelve stages of play against dozens o..
KooZacFeb 06, 2013 PUZZLE – Play through 60 levels, destroying the silver puzzle blocks and clearing the board by completing the targets. ENDLESS - No level, no stage – compete against the world in Endless mode and use multi gems to rack up huge scores. BLITZ.. Lightning Returns: Final Fantasy XIIIFebruary 11, 2014Lightning Returns: Final Fantasy XIII is a new FINAL FANTASY adventure that gives the player direct control over iconic heroine Lightning in a constantly moving, expansive environment, on a quest to save a doomed world from complete destruction. How .. Moon DiverMay 4, 2011Created by Strider Game Designer, Koichi Yotsui, Moon Diver features 12 stages with local and online drop-in/drop-out co-operative play for up to four players. The Earth lies in ruins. In the year 2081, five warriors suddenly appeared during an .. The Last RemnantNov 20, 2008In ancient times, mysterious artifacts referred to as Remnants were discovered all over the world. People used these objects for their awesome powers — a choice that eventually began to cause a rift in the world's balance. Equality was replaced by th..
Yosumin! LiveMay 27, 2009Yosumin! is a puzzle game where you find rectangles of matching tiles known as "yosumin" and make them disappear. Make massive rectangles for the ultimate feeling of satisfaction! Yosumin! is a deceptively simple yet fiendish challenge, and.. This winter is going to be an exciting one, and in the heat of the action, there’s certainly no time to catch a cold! Damnation has all the good stuff coming to you this winter: featuring huge, open e..